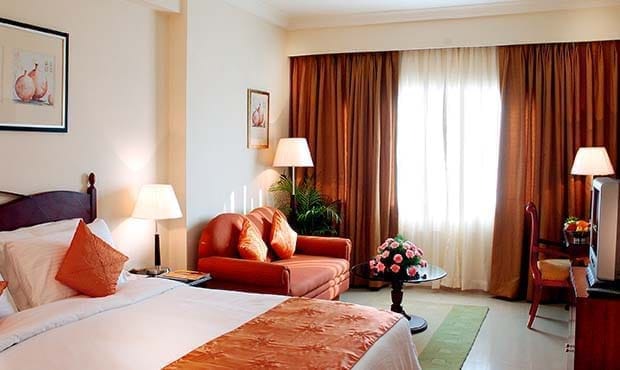 Tastefully decorated comfortable rooms with modern interiors and soothing hues. Settle office matters with the large working desk. Guests have an option of either king-sized or twin single beds. Luxuriously furnished in soft, soothing colours, the Suites offer you comfort in spacious living room, a dining area with an attached powder room and a large bedroom with an attached four fixture bathroom. These rooms feature the best in class amenities and ambiance. Area: 55 – 60 sq. m.